The Budweiser Super Bowl 2012 commercial titled The Return of the King is online. 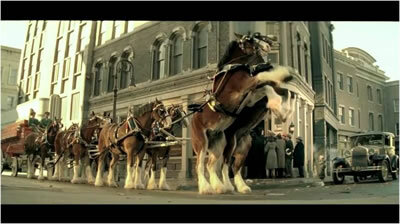 This is the traditional Budweiser Clydesdales Super Bowl Ad. In this 60 second Budweiser Super Bowl ad a town celebrates as the Clydesdales usher in a historic moment in American history - the end of prohibition. 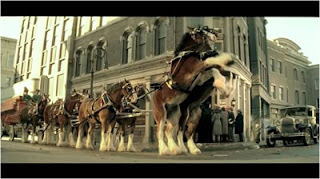 Watch the full Clydesdales Super Bowl 2012 Ad below.